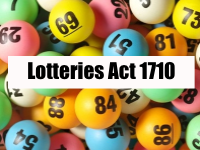 What Is the Lotteries Act 1710? The world has a long history of attempting to regulate gambling and put lotteries within a specific framework. Today, national laws exist in nearly every part of the world. Such regulations aim is to ensure the legality of lotteries, the mechanisms in which prizes are paid out and tax collection so that gambling can contribute to the national budget. 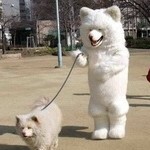 Great Britain has many acts and legislative changes that have been passed through the years. One of these changes is to Lotteries Act 1710, also known as Gambling Act 1710. Even if you’re not particularly drawn to legalese and the exploration of administrative documents, you may find some aspects of this act quite intriguing. The Lotteries Act 1710 is a Great Britain Parliamentary act. It is a part of the Gambling Bill scheduled for House of LoLord’sxamination during the 2004-05 session. There were 17 repeals as a part of the Gambling Bill; the Lotteries Act 1710 is one of them. It was repealed by the Betting and Lotteries Act 1934. The Betting and Lotteries Act 1934 is a UK Act of Parliament that has three sections – betting, lotteries and prize competitions and general. The lotteries section of the act made all such games unlawful except small, incidental lotteries attributed to certain entertainment and private entities. There were also restrictions introduced on prize competitions and the warrant rights given to constables responsible for the investigation of any relevant regulatory break. Later on, the Lotteries Act was also repealed in Northern Ireland by Section 35 and Part II of the schedule to the Betting and Lotteries Act 1957. Gaming Act 1710 was superseded by Lotteries Act 1968 – another document that was repealed. The Lotteries Act of 1968 came into existence after a lot of turbulence in the 1960s and multiple events that eventually contributed to its drafting. Lotteries Act 1968 came in the aftermath of World War II and at a time when illegal gambling was reaching its peak in the UK. Illegal slot machines and casinos were readily available, and the so-called floating gaming parties occurred — these changed locations from time to time to avoid the legal consequences of such activities. The Royal Commission of Betting at the time considered the gaming and lottery regulations in existence to be too complicated to be effective. This is why the commission recommended the drafting of new laws that would outlaw gaming whenever chances were unequal. The commission did not consider measures against private lotteries and betting options that enabled players to enter the opportunity at a minimal charge. Because of these historic and social specifics, the Lotteries Act 1968 came into existence. The new law was entirely based on the concept of licensing and registration so that lotteries and betting could occur. The aim was to prevent the exploitation of gaming opportunities due to commercial interests. A Gaming Board was to be set up to enforce the new regulations and for providing registration to all parties interested in setting up such opportunities. Gaming Act 1710 also introduced a ban on betting advertising. Permitted areas were also established for the setting up of casinos. Through this measure, the Royal Commission on Betting hoped to bring the number of casinos down, and the move was 100 percent successful. Gaming Act 1710 was repealed in its entirety by Gambling Act 2005. As the name suggests, the act was passed in the 1700s. At the time, numerous Georgian equivalents existed to current-time betting and lottery options. The Lottery Act was born to curb many of these opportunities and to set up at least some form of regulatory framework. According to historical documents, Britain was a “nation addicted to gaming” in the period until 1727. There were numerous card, dice games and other high stake opportunities making it possible for a player to lose an entire fortune overnight. The prevalence of such games continued in the 1730s, even though laws did exist at the time. The Lotteries Act 1710 was the primary law in this field. The 1710 Gaming Act was established during the reign of Queen Anne. It set a maximum allowable gaming debt to be 10 pounds. Any gaming debt exceeding 10 pounds was not legally enforceable under the regulation. Unfortunately, the regulation didn’t do anything to curb the excessive gaming, and betting British were involved in at the time. Instead, people started seeing something honorable and courageous whenever the maximum bet amount was exceeded. If a gaming debt incurred wasn’t covered by the law, it was the duty of a noble person to make a prompt payment. Legislators were worried about the addictive nature of gaming and the impact it had on British society. Fortunes changed hands so frequently that the media declared that wealthy men were now made on the betting table. Media even reported multiple cases of suicide prompted by a person’s inability to pay off lottery and gambling debts. As you can see, the Lotteries Act 1710 was a small drop in a large option of uncontrollable betting. While the situation was indeed a dire one, the act and its provisions did tiny to curb the illegal high-stakes betting and to make British people stick to more entertaining, legal low-bet options. The days of Lotteries Act 1710 are long gone, and we all know that betting and lotteries have been legalized throughout the UK. The Gambling Commission is the entity responsible for setting up the regulatory framework today. Today, lotteries and betting activities in the UK are governed by several primary laws that have come to replace older acts. A few of these laws include the National Lottery Act 1993, National Lottery Act 1998, the Horserace Betting and Olympic Lottery Act 2004 and the National Lottery Act 2006. 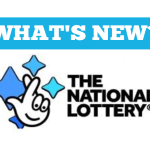 Under these regulations, the National Lottery was established by the government in 1994, following the enforcement of the National Lottery Act 1993. Initially, it was regulated by the National Lottery Commission that was converted into the Gambling Commission in 1994. Current regulation establishes the manner in which lottery games are organized, and prizes are paid out. According to the framework, prizes are paid out in the form of a lump sum payment. 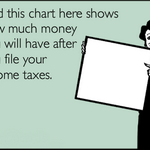 They are tax-free. Of all the money generated through ticket sales, 53 percent go back to paying prizes, 25 percent is allocated to a range of charitable or social causes, 12 percent is provided to the UK government as lottery duty, four percent are allocated as commissions to lottery retailers and the rest goes to the lottery operator. Regulations also establish the eligibility requirements for playing the lotteries today. These eligibility requirements that are highlighted in the multiple editions of the National Lottery Act include all players being over the age of 16, getting a ticket in person (whether at a retail venue or online) and understanding the fact that ticket rights are not transferrable. We had gone a long way since 1698 when all lotteries were labeled illegal in the UK. Over time, the British government carried out a series of experiments to put an end to high stakes illegal betting. Those early efforts like the Lotteries Act 1710 were highly ineffective. Through experimentation with different games and different rules, however, the UK has managed to bring its lotteries into the world of modernity today.